Ruth works in partnership with CYCJ and Staf as a Youth Justice Participation Worker, a post funded by the Life Changes Trust. She intends to use her youth work skills to influence change and amplify the voice of care-experienced young people within the justice system. Ruth will look to make connections, links and relationships with young people who have experience of the justice systems, support them to participate in decision-making fora and use what she has learned to influence the work being undertaken through Implementation Groups. Ruth has a degree in Community Education and over 12 years of experience working with vulnerable young people. She has supported care and justice experienced young people in many of her roles and is also an experienced family worker. She believes that participation processes should be youth-led and has worked across Scotland and the UK supporting marginalised groups to influence change through the UNCRC reporting process. 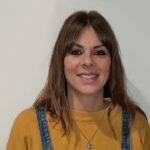 Ruth will split her time between the two organisations, drawing on CYCJ’s connections to practice, policy and research, and Staf’s track record of supporting young people with lived experience.